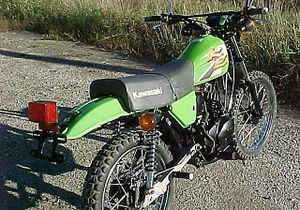 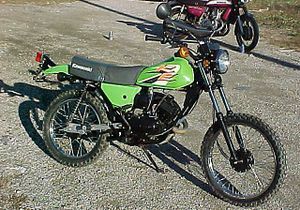 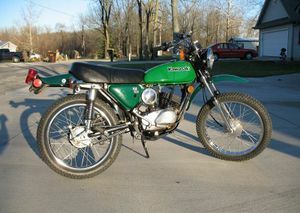 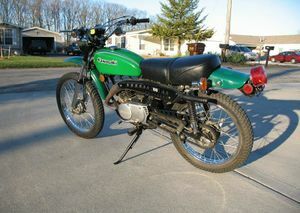 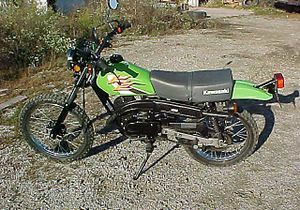 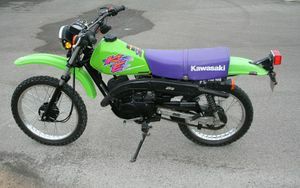 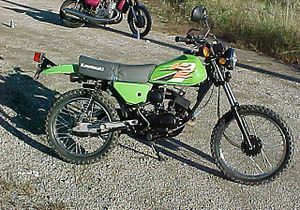 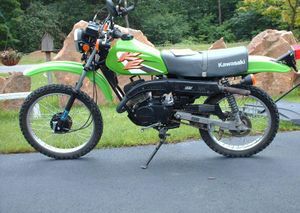 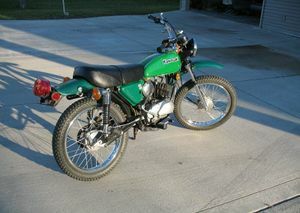 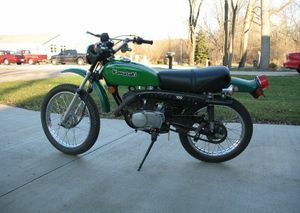 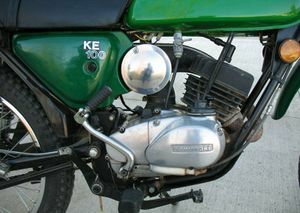 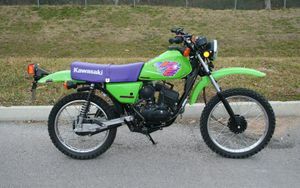 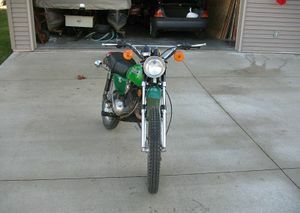 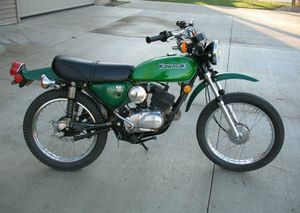 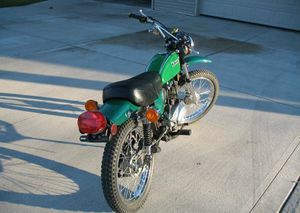 The Kawasaki KE100A was a dual-purpose motorcycle manufactured by Kawasaki from 1976 to 1981. 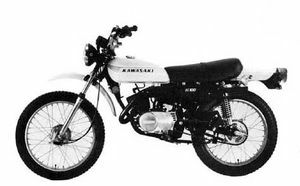 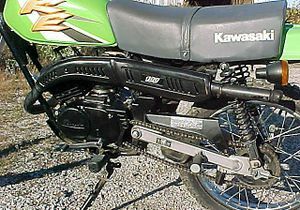 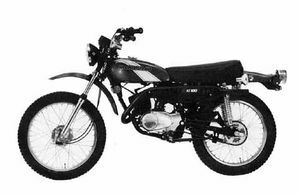 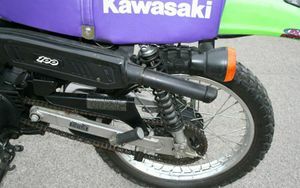 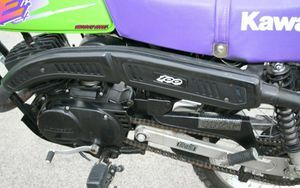 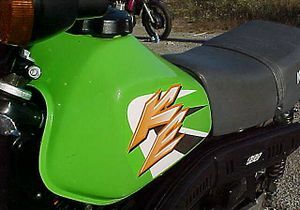 It was alpha-numerical replacement for the Kawasaki G5. 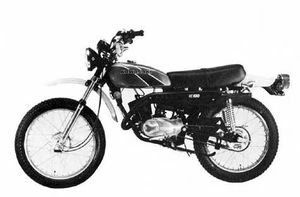 Major changes over the G5 were color, marking, speedometer position, grips, and seat. 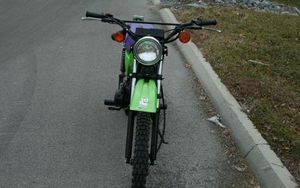 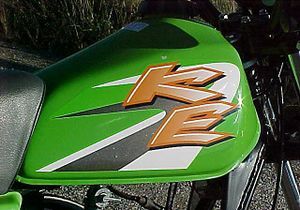 The KE also had brighter head and tail lights. 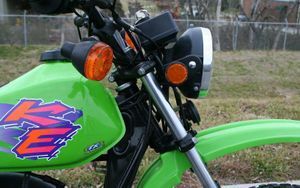 Major Changes: Color. 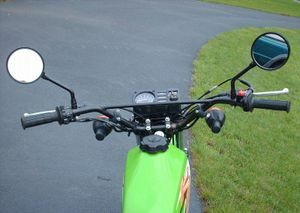 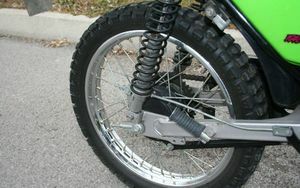 Tandem footpegs added. 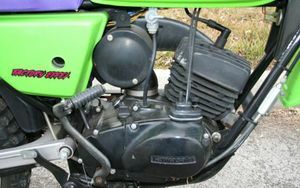 Bleed valve added to oil pump. 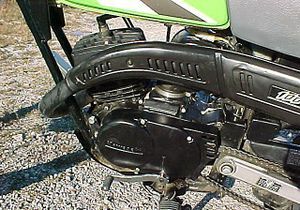 Rotary disc material changed to steel. 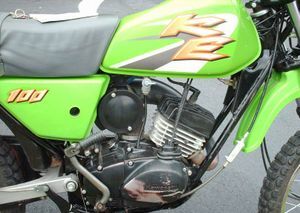 Major Changes: Color, marking, gear shift pattern, and left engine cover. 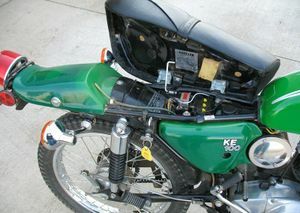 Spark plug changed to B8ES due to cylinder head design change.